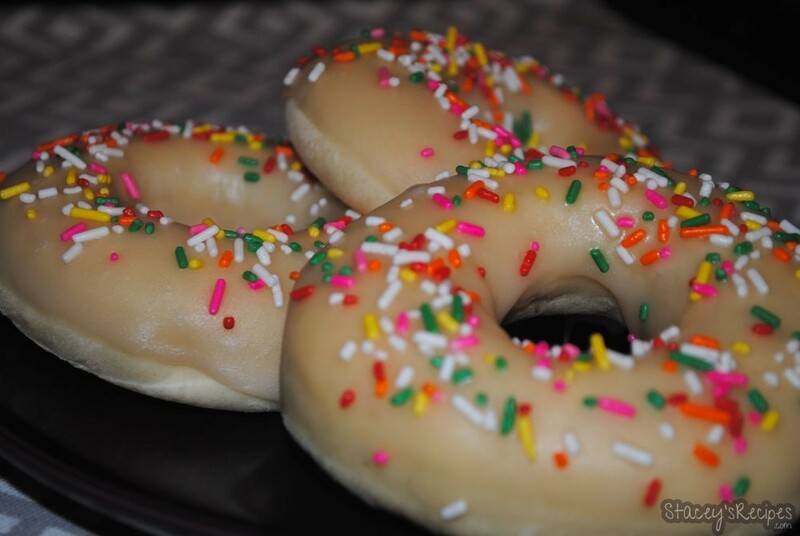 How can you say no to a donut with sprinkles? And its not even fried, its baked! I was surprised about how soft and doughy they were even know they were baked. 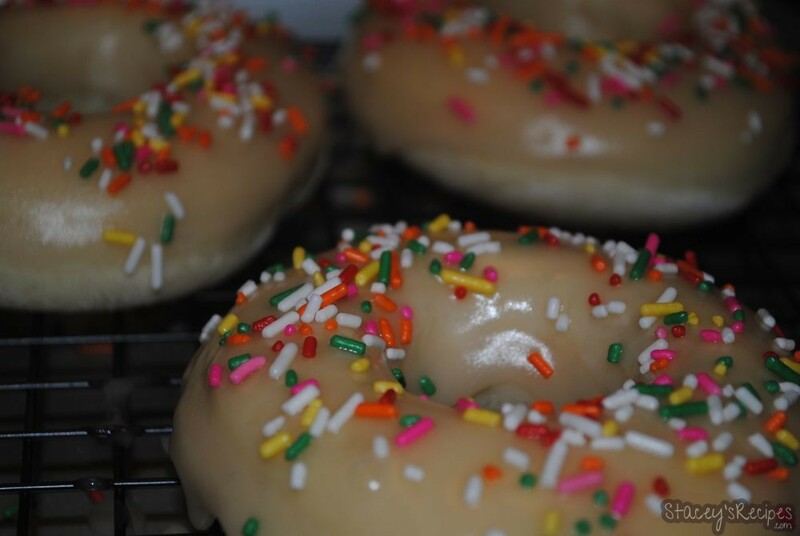 I made these with a vanilla glaze and topped them with rainbow sprinkles – you just have to be sure if you’re going to put sprinkles on them to do it before the glaze sets. These are amazing, and got the thumbs up from my boyfriend who snatched one up just as i finished glazing them! Blend the flour and water in a small sauce pan, and heat over medium while stirring with a whisk. 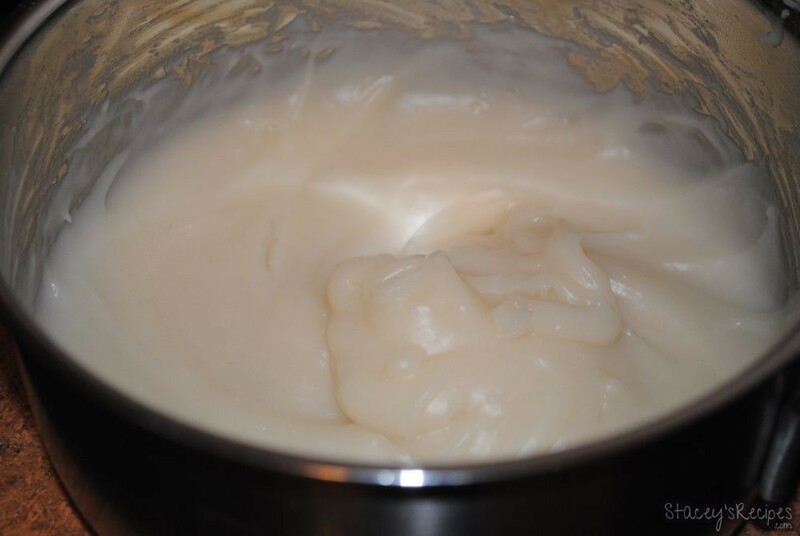 As soon as the mixture thickens, and swirl lines appear, remove from heat and allow to cool. This recipe will make double the amount needed for this recipe - it will last in the fridge for up to three days. In a small bowl beat the milk with the egg. 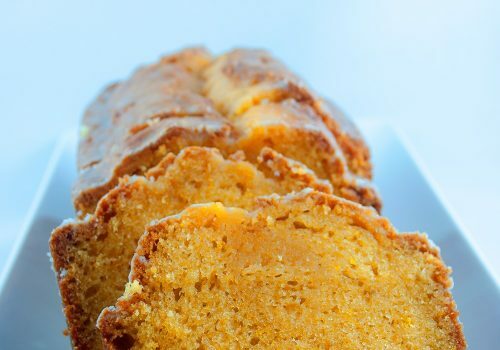 In the bottom of your bread maker pan combine your milk and egg mixture, sugar, salt and butter - cut into pieces. Add cooled tangzhong to bread pan. Measure out your flour and pour on top of the liquid ingredients. 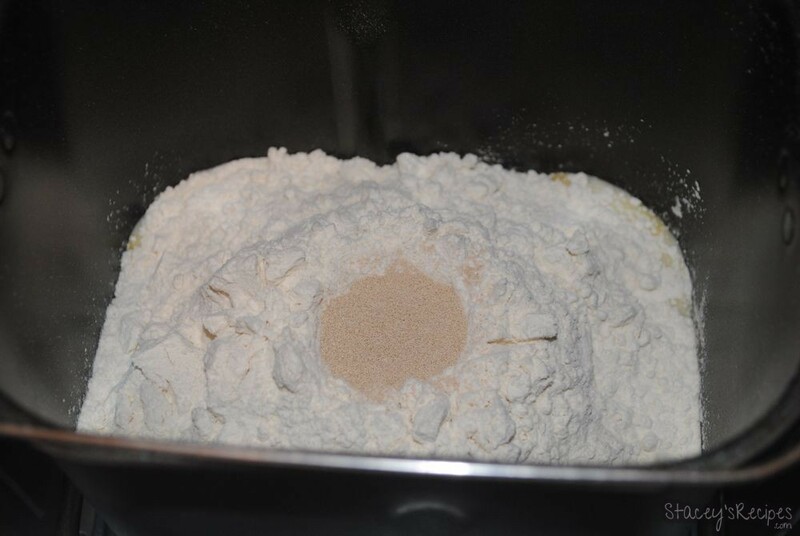 Make a small well in the top of the flour, add the yeast into the well. Make sure that the yeast doesn't come in contact with the wet ingredients at the bottom of the pan. 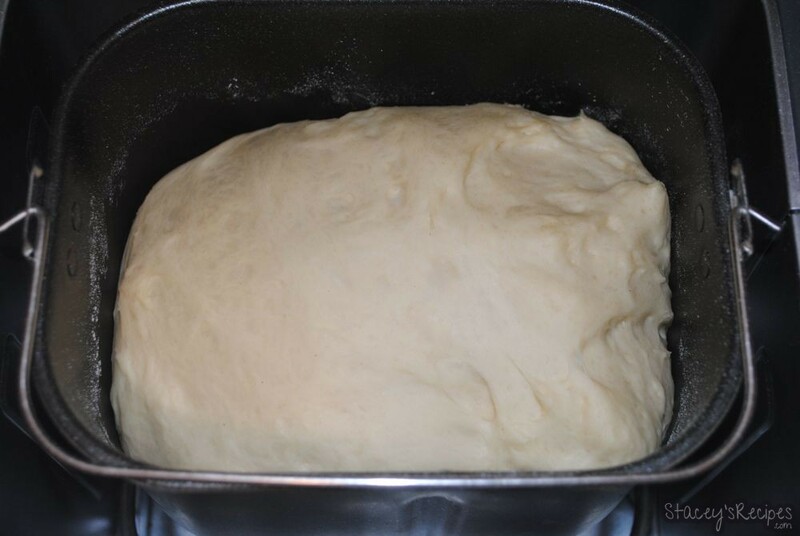 Use your bread machines dough function- allowing the dough to combine, knead and rise. 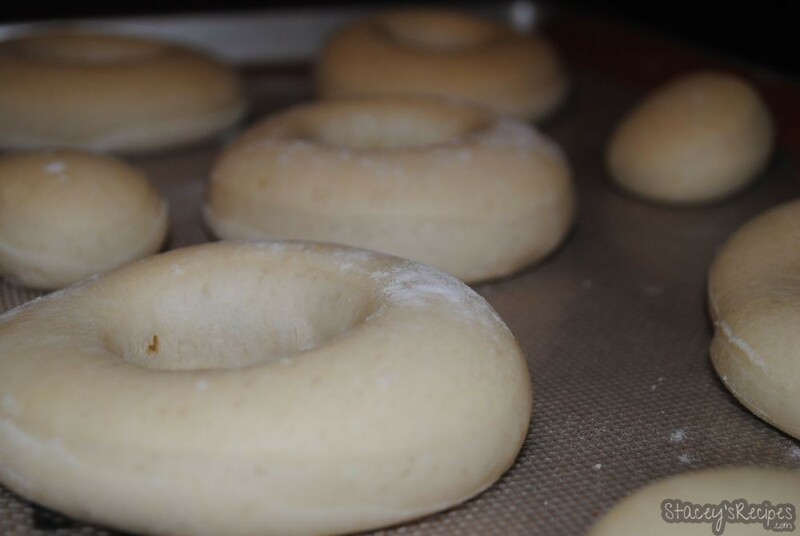 Once the dough is done rising, roll out on a floured surface until abouts a 1/2" thick. 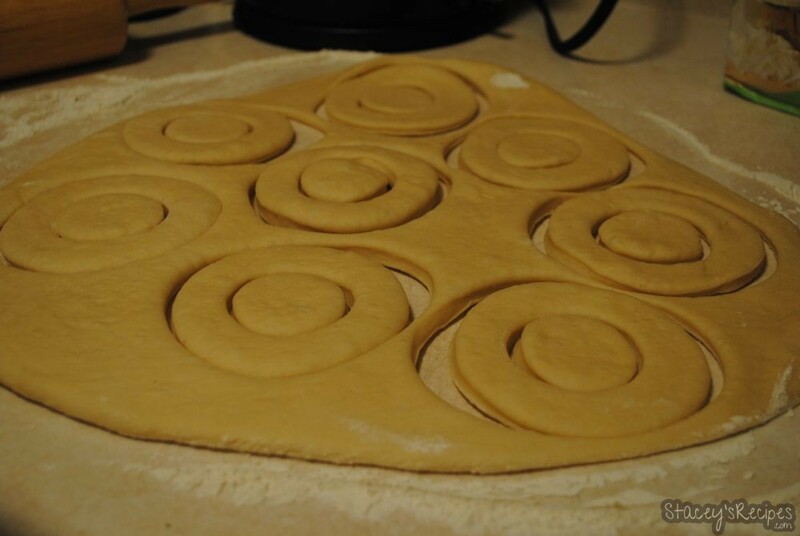 Using your donut cutter, cut out the donuts until you have no dough left. You can re roll our the dough one more time, but more than once and I find that the dough gets too tough to work with. 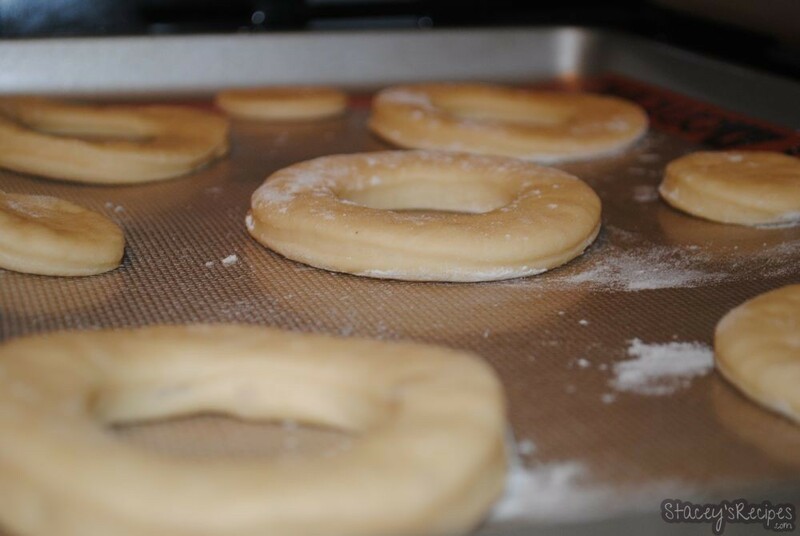 Place your donuts on a baking sheet with your silpat or parchment paper about 2" apart. Cover your baking sheets with clean towels and let rise for 45 minutes. Place your baking sheets in the oven and bake for about 6-7 minutes - until lightly golden brown. 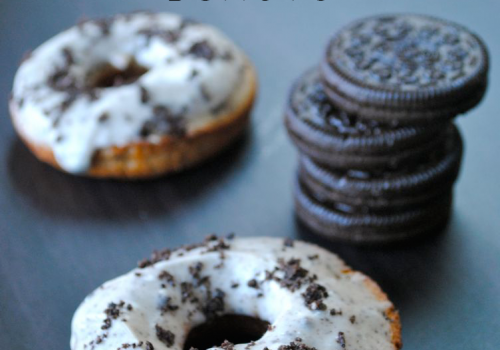 Make sure you dont over bake the donuts - you want them to be light and doughy on the inside. Let your donuts cool for 5 minutes unti you're ready to glaze. In a small sauce pan over medium heat combine your milk and vanilla. Slowly add your icing sugar whisking until the mixture is smooth. Remove the glaze from heat and pour into a small bowl. 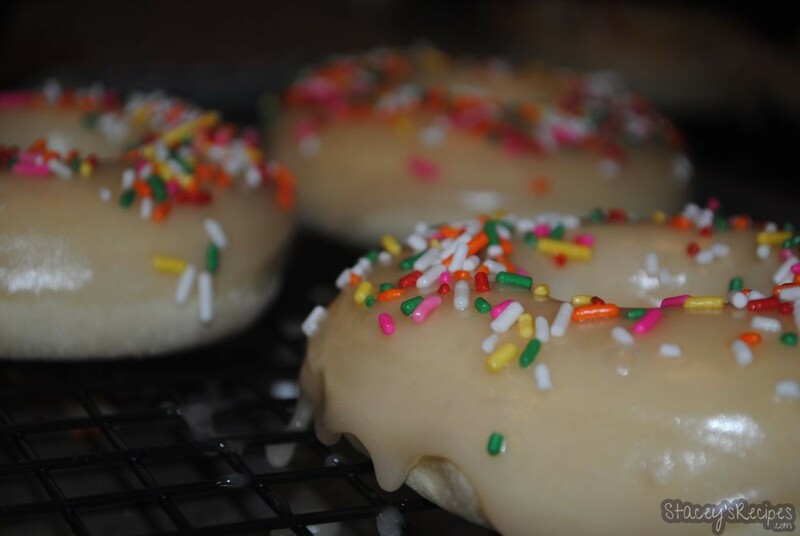 To gaze the donuts dip into the glaze and place on a cooling rack over a baking sheet. Sprinkle with your sprinkles while the glaze is still wet. 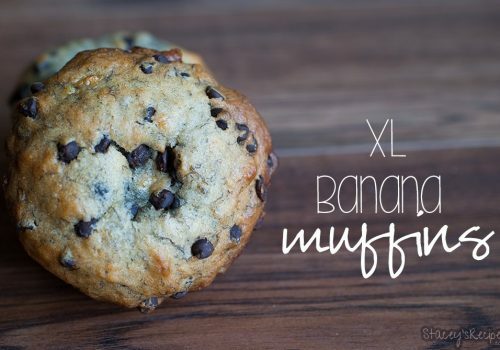 Serve with a good cup of coffee and enjoy!